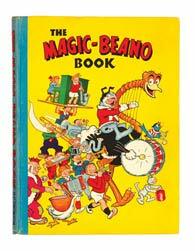 BEANO BOOK 1: £3,125 - SEXTON BLAKE 49 issues: £2,315 - 1940s BEANO COMICS: £200 each . 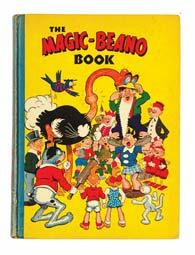 The Beano featured strongly in our bidding once more with a VG copy of the first annual at an above estimate £3,125 and an early run of high grade comics from 76-90 averaging just under £200 each. These prices are extremely strong as similarly graded issues sold in our September 2003 catalogue for £75 each. 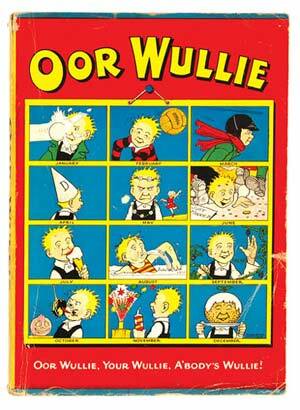 In contrast there was also a Beano Book 1 in VG+ four years ago selling for the same as the one illustrated above. These two Beano years of 1947 and 1948 are not easy to find in any condition so in Fine- and VFN- grades respectively £1,046 and £951 were substantial prices for non-war years issues. 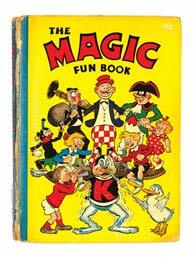 We have only seen a handful of Magic Fun Books come up for auction (they were only published for 2 years in 1941 and 1942) so they are genuinely rare. Consequently it was no surprise to see this No 2 go for £951, even though it had its spine invisibly taped along the hinges. One of the rarest Rupert Books is the 1942, all the more difficult to find in clean condition due to its wartime flimsy card covers. 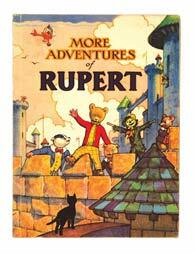 Rupert And His Pals celebrated from the castle battlements with a winning bid of £550 for this Fine copy. Our Sexton Blake collection of bound volumes has reached even headier heights with a record shattering £2,315 for 49 issues (in 11 volumes) from 1919-20. A further £1,930 was tendered for 60 issues from 1923-24 and complete years of 1929, '30 and '31 (48 issues/4 vols each) ran up to £1,215 apiece. There will be a further selection in our next catalogue in November. 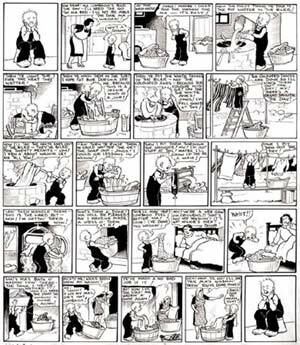 If you ever wanted to know how the washing was done in Scotland in the 1940s, here was Dudley Watkins' graphic and incisive step-by-step detail, with Oor Wullie pittin' water in the biler to hingin' the fresh claethes oot tae dry. Only trouble was the Wee Lad washed next door's instead o' Ma's! This hilarious piece of social history fetched £665. His Calendar Boy book of 1953 also did particularly well in VG grade to make a firm £405. Contrasting this result with the ever popular, but much more widely available Beano Book of the same year, this time in VFN condition, Jack Flash flew to the moon with £242. lOur collection of Romance titles continues to build in popularity with an near complete run of Famous Romance Library 1-171 in ten bound volumes making £825. This title was always the poor relation to its more illustrious siblings, Super-Detective, Cowboy and Thriller Picture Libraries, but the Romance genre is much rarer now and only just coming into its own as collectors appreciate titles like Romance Library, Picture Romance Library, Glamour Library, Love Story All In Pictures, Oracle Library and Hospital Picture Library, all of which have not been seen on the open market in good consecutive runs for many years. The Schoolgirl titles are also commanding higher values for the same reason. 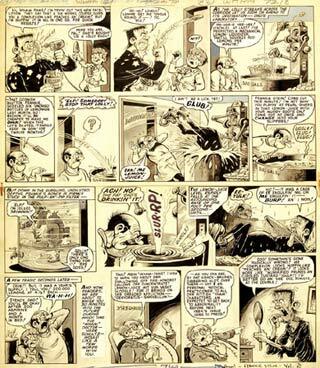 1960s and 70s artwork is gathering pace, and Ken Reid's brilliant creation, Frankie Stein, is once more trying to improve his looks with Splodge Beauty Cream only to fall into Dad's mechanical lemon-squeezer with results of a different complexion! £631 produced a crooked smile. 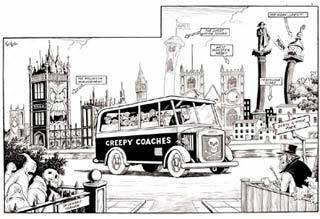 With his World-Wide Weirdies artwork for Whoopee comic Reid is at his frightful best with London landmarks ghoulishly punned including West Monster Abbey, Spookers Corner and Trafalgar Scare, - you get the idea - and so did the winning bidder with £556. We were able to offer a strong selection of Golden Age issues in our US section and Batman 53, Captain Marvel 54 and Sensation 55 all reached above their upper estimates with £140, £151 and £110 respectively. 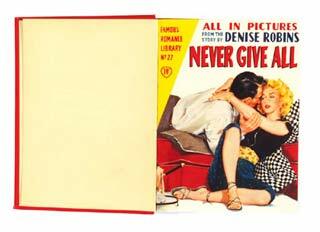 In our Silver Age section we offered a high grade, cents copy collection in 82 lots that also sold well. The pick of the bunch was Journey Into Mystery where issue 76 made £122 and the rare-in-high-grade issue 85 made a magic hammer price of £720, nearly 50% above its upper estimate. 109 completed the trio with £185. Further high grade issues to do well were Daredevil 2 at £165, Tales To Astonish 38 at £166 and X-Men 13 at £105. The second tranche of this wonderful collection will be auctioned in our next catalogue in November. Comic Book Postal Auctions, Ltd.